Born in Paris, Kentucky…Morgan was the seventh of 11 children. His mother, Elizabeth Reed, was of Indian and African descent, and the daughter of a Baptist minister. His father, Sydney, a former slave freed in 1863, was the son of John Hunt Morgan, a Confederate colonel. 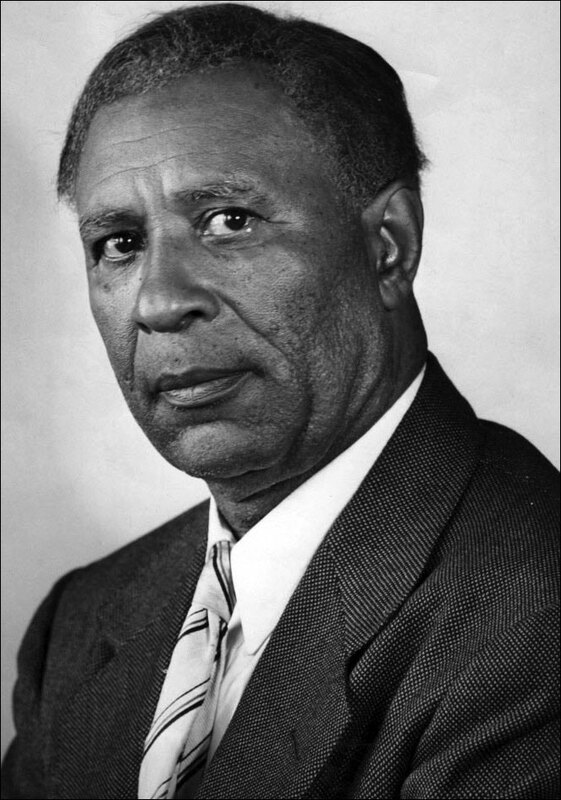 Garrett Morgan’s mixed race heritage would play a part in his business dealings as an adult. 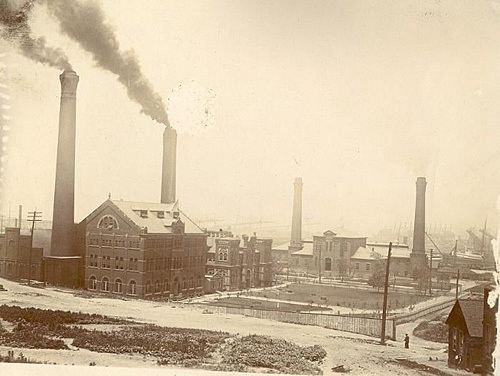 This entry was posted in Year 7 TDIWH and tagged British Public Health Act, Cleveland, Cleveland Water System, England, Garrett A. Morgan, Garrett A. Morgan Water Treatment Plant, offscourings, Ohio, pollution, public health, water, water history, water treatment on March 4, 2019 by safedrinkingwaterdotcom. February 13, 1913: Engineering Newsarticle. Sewage Disposal Investigations at Cleveland. By R. Winthrop Pratt. “SYNOPSIS-Preparatory to the design of sewage-treatment works for Cleveland, Ohio, a series of tests is being made of various methods of treating the sewage. The causes leading up to the decision to treat the sewage, and to make the tests before building the proposed works are outlined and then the testing station is described. The station includes grit chambers, screens and tanks for preliminary treatment, rapid filters or scrubbers, sprinkling filter, auxiliary settling tanks, and a disinfection plant for final treatment; tanks for dilution studies; sludge digestion tanks and sludge-drying beds, and an office and laboratory…. (1) The extension of the water-works tunnel to a point about four miles from the shore. (2) The construction of an intercepting sewer system to collect the sewage from the entire city and discharge the same into Lake Erie, at a point about 10 miles east of the Cuyahoga River. This intercepting sewer was to be designed to carry twice the dry-weather flow from one million people, on the basis of 200 gal. per capita, or a total of 400 gal. per capita per day. This plan involved several overflows into the lake and river to take care of the discharge in excess of the above amount. Reference: Engineering News 1913. 69:7(February 13, 1913): 287. This entry was posted in Uncategorized and tagged Cleveland, Ohio, public health, Rudolph Hering, sewage, sewage treatment, water, water history, water supply on February 13, 2019 by safedrinkingwaterdotcom. February 2, 1918: Municipal Journalarticle. Ask Time Extension for Sewage Plant Completion. Cleveland, O. The city council has passed resolutions asking the state department of health for an extension of time in which to complete plants built to prevent the pollution of Lake Erie and Cuyahoga river. The state health department had ordered the city to install sewage works for preventing the pollution of the lake before Feb. 13, 1918. The city has already spent and has contracted for the expenditure of more than $700,000 for the construction of sewers and treatment works in accordance with the order. Because of delay in determining the legal status of a recent act of the legislature, which permitted the raising of the necessary funds authorized at a recent election and of much time consumed by necessary studies and investigations, the city asks extension of time until Feb. 13, 1920. 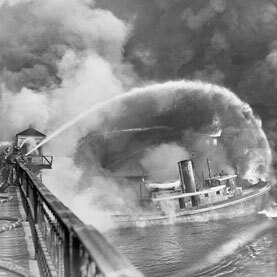 In the case of the Cuyahoga river, the city had been originally ordered to stop pollution by July 1, 1915, and had then had the time extended to July 1, 1917, but now it requests a further extension until July 1, 1920. Commentary: The reader may recall that we have marked several occasions when the Cuyahoga River caught fire due to the wastes dumped into it. Controlling sewage discharges did not fix all of the river’s problems. February 2, 1918: Municipal Journalarticle. To Complete Water-Waste Survey. Buffalo, N. Y.-On the recommendation of commissioner Kreinheder council has authorized a complete survey of the city’s water waste at a cost of about $44,000. The Pitometer Company of New York is to do .the work along the plans followed by it in a partial survey made some time ago. George C. Andrews, water commissioner, estimates that the survey will result in an annual saving of $80,000 in coal bills and of about $40,000 in wages. The city has been divided into ten districts for the purposes of this survey, one of which has been covered. Two others will be completed in the spring. Commentary: Founded in 1897, the Pitometer Company (Associates) was in business for 99 years and helped cities save untold billions of gallons of water. In 1996, Severn Trent Environmental Services, Inc. acquired Pitometer Associates, Inc.
Reference: Municipal Journal. 1918. 46:5(February 2, 1918): 98. This entry was posted in Year 7 TDIWH and tagged Cleveland, Cuyahoga River, Pitometer Associates, public health, sewage, sewage treatment, water, water history, water leak survey on February 2, 2019 by safedrinkingwaterdotcom. December 7, 1916: Engineering Newsarticle. 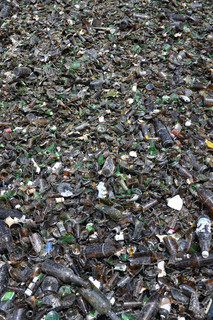 Activated Sludge Results at Cleveland Reviewed. “A comprehensive review of nearly a year’s operation of one of the two largest activated sludge plants in the United States. 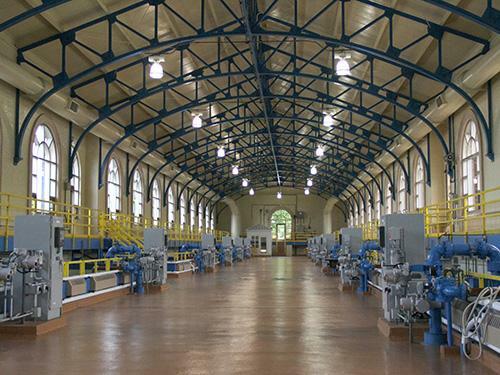 Cleveland’s activated-sludge installation has now been in operation over nine months. Within 10 days after passing sewage through the plant, activated sludge was produced, but it took about two months to get all the recording apparatus tested out and the plant in shape for continuous operation…. The first experiments at Cleveland with the activated-sludge process indicated that two important requirements of an ideal method of sewage treatment were being satisfied: The process produced a clear sparkling effluent and there was an absence of odors…. 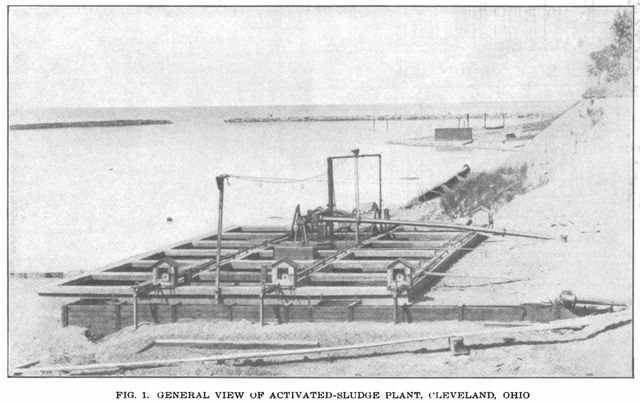 Reference: “Activated Sludge Results at Cleveland Reviewed—I.” (1916). Engineering News. 76:23(December 7, 1916): 1061-2. This entry was posted in Year 7 TDIWH and tagged activated sludge, Cleveland, Ohio, sewage, water on December 7, 2018 by safedrinkingwaterdotcom. May 15, 1913: Engineering Newseditorial. The Water Filtration Question at Cleveland. “The remarkably low typhoid death rate of Cleveland, Ohio, in 1912 (about 6 per 100,000) seems on its face to be wholly incompatible with the contention of the local board of health and certain members of the city council that the water-supply is so badly polluted as to make the immediate construction of a water-filtration plant imperative. Some time ago a committee of the Engineers’ Club of Cleveland investigated filtration and made an adverse report which headed off a proposed bond-issue ordinance then before the city council. Early in 1912, D. D. Jackson, of New York City, made an exhaustive report on the Cleveland water-supply, with the conclusion that filtration would be chiefly of esthetic value, for the present, and that the wiser plan would be to carry out improvements which would continue still further the separation of the sewage discharges from the water intake. These improvements are now in progress or early prospect, and will result in lessening the volume and frequency of possible infection, both of which are held by Mr. Jackson and other competent persons to be relatively small. Meanwhile, it should be noted, the water-supply of Cleveland is being disinfected with hypochlorite. Within the past few weeks the city council of Cleveland, or certain members of it, have tried to force the mayor, Newton D. Baker, into acquiescence with their advocacy of filtration. There has been much talk of an appeal to the State Board of Health for an investigation of the subject. In fact, the council did pass a resolution to that effect, but it appears that the resolution was not in such terms as would give the board authority to order filtration, since the resolution did not declare the water supply to be a menace to health. While we sympathize with every well considered effort to improve the quality of city water-supplies, we are not convinced by such of the arguments as have come to our attention that filtration at Cleveland is as vital to the health and as essential to the comfort and convenience of the people of that city as other objects of municipal expenditure. This, we understand, is the opinion of Mayor Baker, and we also understand that the officials in direct charge of the water-works are of the same opinion. The question of water filtration at Cleveland or elsewhere should be settled on the basis of whether the expenditure of a given sum for this or other purposes will yield the greatest benefit to the largest number of people. The city authorities have taken competent expert advice as to the need for filtration and they have also had the public-spirited advice of leading engineer-citizens. True, the board of health is strong for filtration, but its viewpoint (we may unwittingly do it injustice) seems to be the narrow medical one of advocating a counsel of perfection, with no careful weighing of the benefits to health which will ensue and with little or no regard for cost or for the other health and general welfare needs of the city. Presumably Cleveland, like all other cities dependent upon surface water-supplies, will yet have a filtration plant. The question for it and other cities to consider is whether, in view of financial and other local considerations, filtration or something else should take precedence at a given moment. The evidence before us points to a delay in filtration at Cleveland. Reference: “The Water Filtration Question at Cleveland.” 1913. Engineering News. 69:20(May 15, 1913):1011. Commentary: I reprinted the entire editorial because it is so extraordinary. Engineering News was a potent force in the municipal and engineering community in the first two decades of the 20thcentury. The journal’s opinion that filtration was not needed because they were disinfecting with chlorine shows how little regard many in the profession had for the protection of public health. To call the proposal to install filtration “the narrow medical one of advocating a counsel of perfection, with no careful weighing of the benefits to health” is beyond our understanding today. It would take decades before the lesson of multi-barrier protection of drinking water really took hold. The filtration plant being discussed began operation in 1917. This entry was posted in Year 6 TDIWH and tagged chlorination, Cleveland, drinking water, filtration, public health, water, water history on May 15, 2018 by safedrinkingwaterdotcom. March 4, 1877: Birth of Garrett A. Morgan. 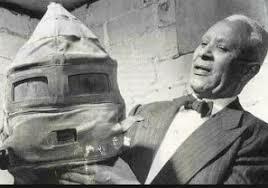 “With only an elementary school education, Garrett Morgan, born in Kentucky on March 4, 1877, began his career as a sewing-machine mechanic. He went on to patent several inventions, including an improved sewing machine and traffic signal, a hair-straightening product, and a respiratory device that would later provide the blueprint for WWI gas masks. In 1914, Morgan patented a breathing device, or “safety hood,” providing its wearers with a safer breathing experience in the presence of smoke, gases and other pollutants. Morgan worked hard to market the device, especially to fire departments, often personally demonstrating its reliability in fires. Morgan’s breathing device became the prototype and precursor for the gas masks used during World War I, protecting soldiers from toxic gas used in warfare. The invention earned him the first prize at the Second International Exposition of Safety and Sanitation in New York City. 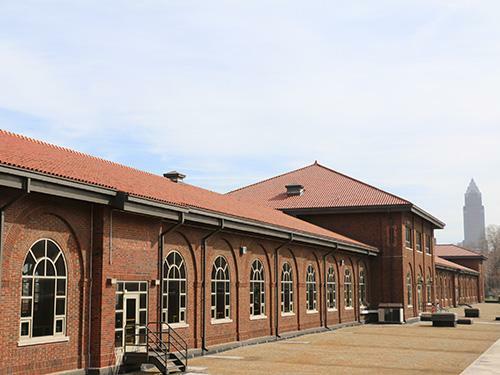 “The Garrett A. Morgan Water Treatment Plant, built in 1916, was originally named The Division Avenue Pumping and Filtration Plant, and was constructed on the site of where the original water system originated in 1856…. This entry was posted in Year 6 TDIWH and tagged British Public Health Act, Cleveland, England, Garrett A. Morgan, offscourings, Ohio, pollution, public health, water, water history, water treatment plant on March 4, 2018 by safedrinkingwaterdotcom. February 13, 1913: Engineering News article. 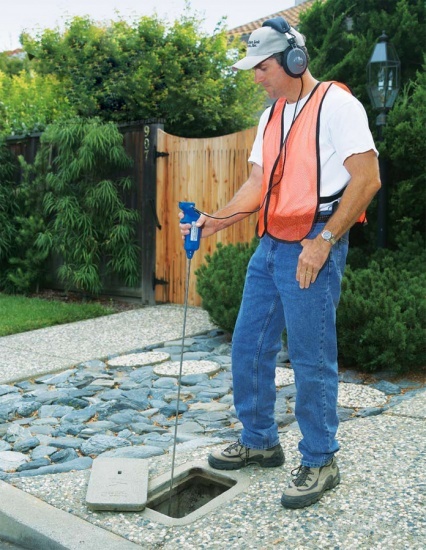 Sewage Disposal Investigations at Cleveland. By R. Winthrop Pratt. “SYNOPSIS-Preparatory to the design of sewage-treatment works for Cleveland, Ohio, a series of tests is being made of various methods of treating the sewage. The causes leading up to the decision to treat the sewage, and to make the tests before building the proposed works are outlined and then the testing station is described. The station includes grit chambers, screens and tanks for preliminary treatment, rapid filters or scrubbers, sprinkling filter, auxiliary settling tanks, and a disinfection plant for final treatment; tanks for dilution studies; sludge digestion tanks and sludge-drying beds, and an office and laboratory…. This entry was posted in Year 6 TDIWH and tagged Cleveland, Ohio, public health, Rudolph Hering, sewage, sewage treatment, water, water history, water supply on February 13, 2018 by safedrinkingwaterdotcom.